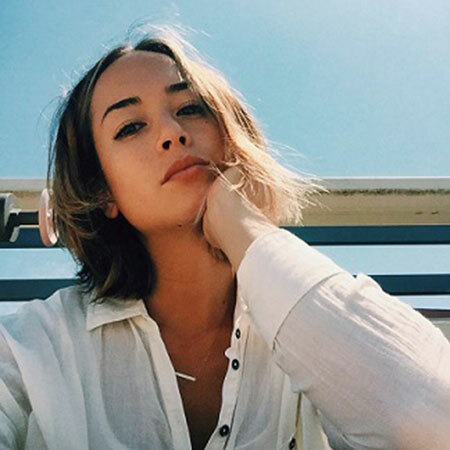 Andrea Thoma, the gorgeous Instagram star and physical therapist is happier than ever! Her current Instagram posts prove it all! One feels so blessed when the one gets all the love, care, and support from a single person. Andrea, 30, has a good career indeed yet many people are so desperate to know details about her dating life. Is Andrea in a relationship? Is she married? How many relations did she have? To learn more about it read more information down below. Andrea Thoma is in Relationship with Grant Gustin; Is The Duo Married? Andrea Thoma was in a relationship with Grant Gustin, an American singer, and actor who is famous for playing a role in The Flash as Barry Allen. Andrea Thoma and husband Grant Gustin. Their relation started back in 2016 when a rumor about Grant Gustin dating an unknown girl "LA Thomas" on her Instagram. Recommended: Grant Gustin, Lead Actor of CW Series The Flash Got Engaged To His Girlfriend Andrea Thoma Last Year, Will They Get Married Soon? They got engaged in 2017 when they both were working out on a beach and then Gustin knee down and ask her to marry her. Grant proposed to her with a large cut round diamond ring. On April 30, 2017, Grant Gustin, the 29 years old actor shared an image on Instagram where Thomas showed off her engagement ring. Later, rumors that the couple getting married in a private ceremony in Malaysia spread in the media. The Star Online was the first one to report that they were tying the knot in a traditional wedding. 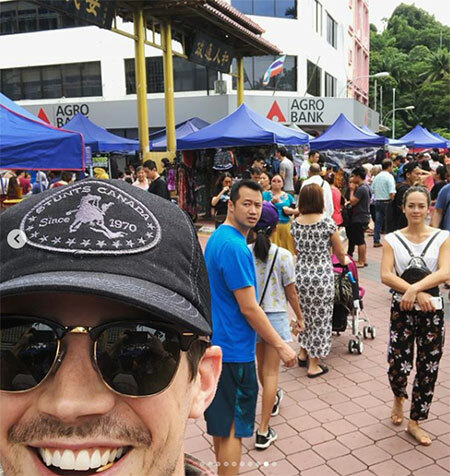 Gustin completely denied the false rumor of them getting married and he told that they were there to celebrate their "Traditional Kadazan" ceremony. "It was incorrectly reported, without our permission that LA (Thoma) and I had a private wedding while we were here (Malaysia), but that’s not quite the truth. We did have a beautiful, symbolic Kadazan ceremony to honor LA’s ancestors." The cute couple was seen in Sabah, Malaysia on December 17, 2017, and there was some report that they were planning to get married in the USA soon. They even posted their photo while they were in Malaysia. Happy Holidays from Malaysia! I’ve been mostly off social media because the Majalap family is non-stop and we’ve been running around and partying and eating and drinking since we got here. I did want to clear something up before the internet ran with it. It was incorrectly reported, without our permission that LA and I had a private wedding while we were here, but that’s not quite the truth. While we did have a beautiful, symbolic Kadazan ceremony to honor LA’s ancestors, we still won’t tie the knot until next year. (Also I’m still 27 for another few weeks.. the article got a couple things wrong) We’ve had a great time while we were in Sabah. LA’s GIGANTIC family is awesome. We got to hang out with Masidi Manjun, the Minister of Tourism, and had an incredible stay at Gaya Island Resort our first few days. Many pictures to come once we’re back in North America. Their married rumor ended with a post where Gustin even reviled that they are not getting married until the next year. Gustin even shared their photo wishing Thoma 1st anniversary of relationship on his Instagram. A little happy 1 year anniversary, sad to see you go photo shoot this morning. 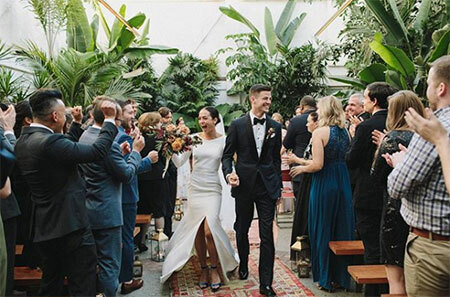 Surprisingly, Grant Gustin and Andrea 'LA' Thoma tied the knot on December 15, 2018, in downtown Los Angeles. The 29-year-old TV star and the physical therapist, 30, wed at the 1920s built venue the Valentine. Andrea Thoma weds Grant Gustin. As of now, the newlywed couple is enjoying the perfect moment of their life, and we want to congratulate them, wishing a happy long life in the unscripted future to come! Andrea Thoma Past Affairs And Dating History! According to the information that Andrea had not been in a relationship on her past days before having a relationship with Grant Gustin. So in the relationship history of Andrew, Grant Gustin was the only person that she ever made out with. Andrea Thoma past affairs and relationship before tying the knot with Grant Gustin. Grant Gustin had a relationship with another actress before getting in a relationship with Andrea Thoma. Her name is Hannah Douglass, a dancer who is very famous for performing a backup dancing in a hit musical series Glee. The former pair got to know each other while Gustin was performing in Glee and Hannah was the back dancer of that show. Apart from that, Andrea successfully kept her life away from the mainstream media spotlight. Till date, she has not been the part of any notable controversies. Additionally, there are no rumors concerning her life and career. Andrea Thoma aka LA Thoma. Andrea Thoma was born on July 11, 1988, Malaysia. She has two siblings Jonathan Thoma, Louise Thoma. She is the daughter of James Thoma and Judy Thoma. Andrea finished her study from Kent State University and Old Dominion University.